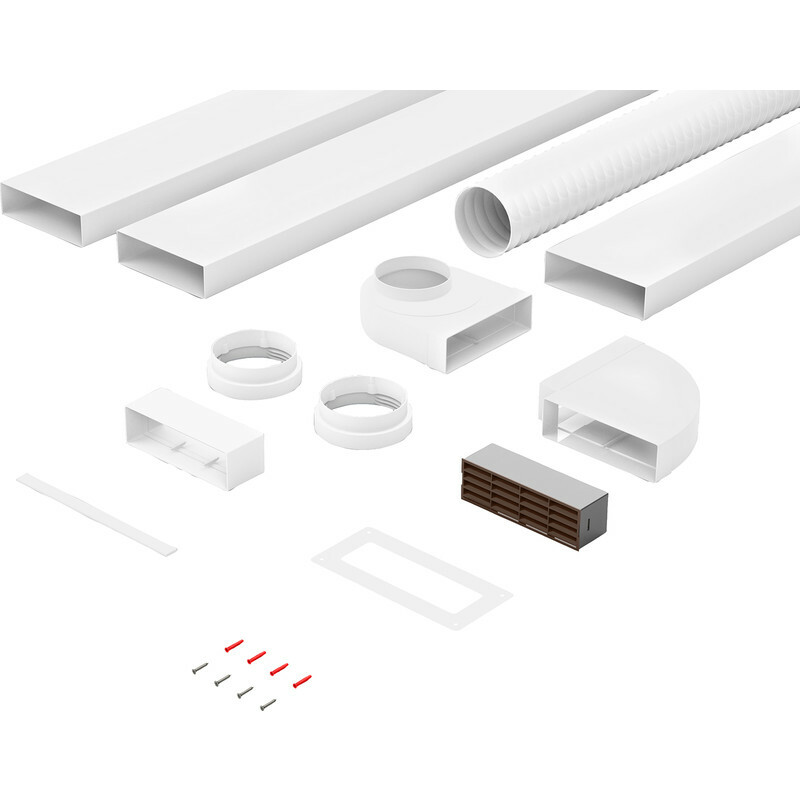 204mm Flat Channel Cooker Hood Kit 3m Brown is rated 4.7 out of 5 by 3. Rated 4 out of 5 by NNSD from All the parts you need Covered all of the major parts I needed. Added other parts from the catalogue for additional 1m duct and clips to hold duct to ceiling. The 3m length quoted is not 3m of flat duct - it includes the flexible pipe to connect to the hood. Be careful when ordering, the kit only has 2m of flat duct.